Puts your fighting skills to the test with stunning 3D graphics, multiple fighting disciplines, and more than 400 ever evolving fighters that learn through artificial intelligence. "...More" to learn why you should download this game today! • Multitouch and third-party game controller (iOS 7 MFI, iCade and Bladepad). • More than 400 different stylized opponents to defeat! • Play daily challenges: Hitman, Battle Royale and Survival ! • Backup and restore your save games and credits on iCloud. • In-App purchases available for game credits, unlocking more companions, more attacks styles, new abilities, clothes and more! • Intuitive controls with jump, roll, attack, quick time events, super moves and more! 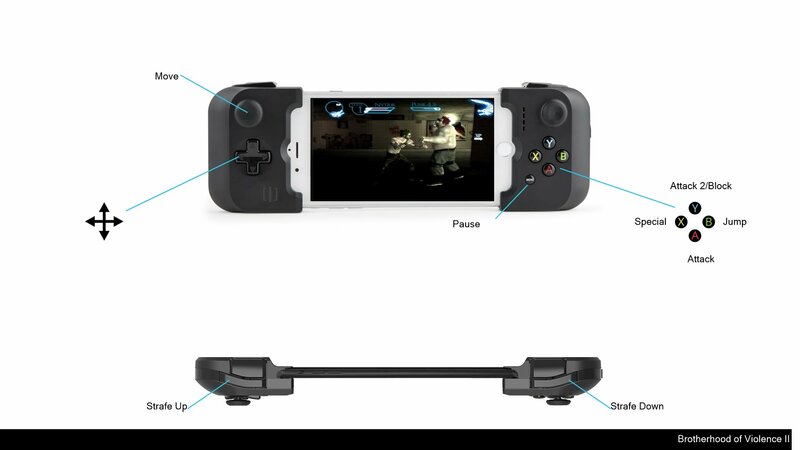 • Multiplayer online support up to 4 players, and 4 players with iOS7 game controllers. To play online, choose a challenge, select Online and invite a Game Center friend. Also available with Bluetooth from iOS App Settings menu. • New challenges, new graphics effects, new musics, new audio recorded in Japan by professional actors. • Improved gameplay, new accessories, and much, much more. Equip your character, learn your fighting technique. What's it going to be? Muey-thai? Kung-fu? With five different disciplines to choose from, you're ready to jump right into the middle of the action!